A faith conversion led Navy veteran Theodore “Ted” Casimes to an unretirement career as a clergy member in the Christian Episcopal Church of the United States, where he continues to serve at age 86. Service to his church has been the culmination of a prestigious military career that took him around the world and through the Korean and Vietnam Wars. “What I really wanted to do in high school was fly for the Navy,” Ted noted. That dream started to take shape with an appointment to the United States Naval Academy in Annapolis, where he graduated in 1954. Eager to be a “red hot fighter pilot,” Ted was instead sent to be an instructor for two years, where he fine-tuned his flying skills, logging 1,200 flight hours. “The good Lord protected me, and I learned more about flying having to teach for two years.” A varied career followed including flying bombing missions to the Mediterranean as a pilot during Korean and Vietnam Wars and an appointment as a strategic nuclear planner at Offutt Air Force Base in Omaha, NE. On combat cruise in the Vietnam War, while serving in the USS Constellation, Ted had a close call when the engine on his A4 Skyhawk failed on a catapult launch and he was forced to eject at low altitude, with his parachute opening just before he hit the water. Along his storied career path, Ted earned master’s degrees in meteorology and management. Retiring in 1977 as a Navy captain after 23 years of service, Ted’s post-military career was at Boeing, a Seattle-based aerospace firm, where he spent 11 years in a variety of management jobs. It was during his time at Boeing – in 1981 – that Ted attended a service at St. Luke’s Episcopal Church where he experienced a faith conversion. Retirement from Boeing in 1988 was the start of his long volunteer clergy career in the Episcopal Church. He served as administrator of the St. Luke’s Episcopal Church in Seattle from 1988 to 1992. 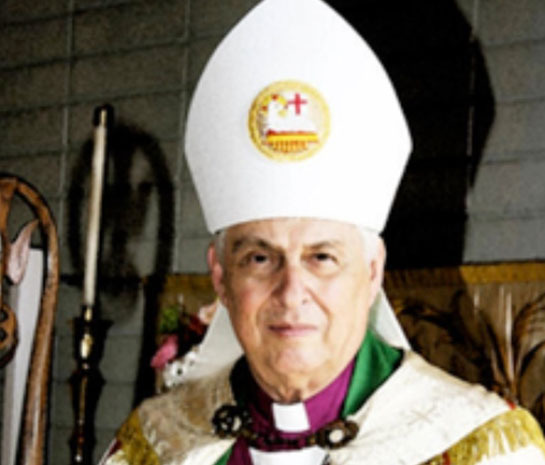 He helped found King of Glory Anglican Parish in Auburn, WA, and served as senior warden and deacon. Ted was ordained a priest in 1999 and was consecrated Bishop in 2002. 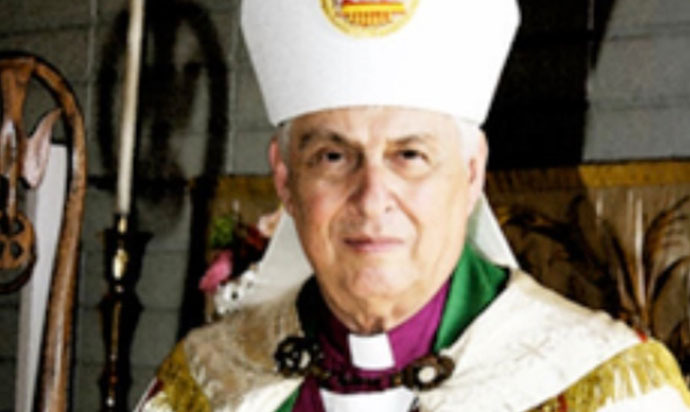 He has served as Archbishop of the Christian Episcopal Church of the United States, Bishop Co-adjustor of the Christian Episcopal Church of Canada, and Bishop of the Diocese of Seattle. Until he began suffering from heart problems two years ago, Ted was active traveling to France to meet with church leaders and to parishes throughout his service area including Canada and the Cayman Islands. Ted has four children, 13 grandchildren, and eight great-grandchildren. He still attends weekly church and meetings, and troubleshoots church issues.